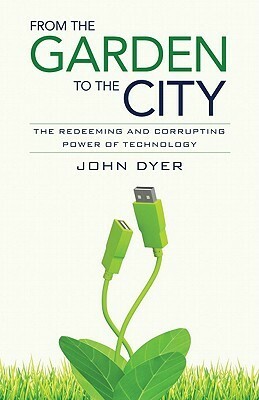 From the garden to the city: the redeeming and corrupting power of technology (John Dyer). Digital native /noun/ 1. A person born after the general implementation of digital technology 2. The opposite of a digital immigrant 3. You and I (probably). Whether the invention of Google Glass strikes cold fear into your heart or lights up your eyes, we are a generation of digital natives. Technological concepts come as pretty much second nature to us. And as Christians we’re charged with the responsibility of living in this world, at this time, treading these murky, fast-moving waters and figuring out how we are to live faithfully. God put man in the garden to maintain and cultivate it. Using technology today is a continuation of this original mandate, and it’s the means by which we transform what God has made. Creative in the Creator’s image but broken by sin, we choose to work the garden either for God’s glory or for our own designs. If you’ve ever done any non-virtual gardening, you’ll know that when you use a shovel you shape the earth beneath it. You’ll also know that the shovel impacts you, too, causing callouses on your hands. The user shapes the tool, and in return the tool shapes the user. Everyday technologies are well equipped to dictate their own values into our usage, and these will either be pro or counter our Biblical values, so discernment is vital. Well, maybe not quite. But certainly face-to-face is the communication to aim for. Technology can help us to maintain community, but it is always limited. Dyer uses an example from 2 John, where, in his closing sentences, the apostle recognises the limits of the communication technology he is using (pen and paper), and expresses what it lacks: ‘Though I have much to write to you, I would rather not use paper and ink. Instead I hope to come to you and talk face to face, so that our joy may be complete’ (2 John: 12). We’re currently in the state between the garden of the creation and fall, and the city of the new creation. We are redeemed, but not fully restored. The allure of technology is the promise that the right tools will bring about a better world, tapping into our inherent feeling that something better is indeed possible. The problem comes when we look to our created objects to achieve this, instead of to our God who has promised to make all things new (Revelation 21: 5). Like limbs that are trained to run either long distance or to sprint, our brains adapt to the tasks we frequently throw at them. If we regularly flick through twitterfeeds to pick up morsels of information, our brains will become very good at dealing with 140 characters. The cost will be a decline in digesting longer reading material. This means change not just for our neural pathways, but also for culture at large. “I know that it is often the difficult things – eating healthy food and exercising, reading books for long periods, praying deeply, and spending quality time with my family and friends – that God uses to mold and shape us into the image of his Son. Rather than be shaped by technology, I try to understand how each new technology can shape me and then decide if that coincides with the kind of person I think God would have me be” (page 174).